Please make sure to scroll all the way down to see our Upcoming Sojourn Events and Special Shout Outs! Yesterday afternoon, I returned from my sojourn along the Camino de Santiago. 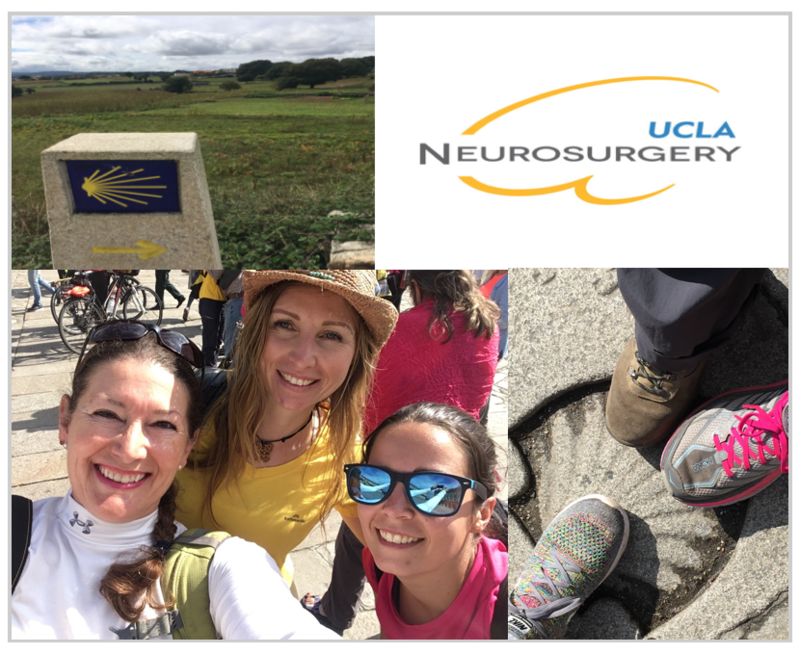 I did the last 100kms of the French Way as a fundraiser in support of UCLA Neurosurgery. It was a walk I have wanted to do for a few years, and fantastic in so many deeply meaningful ways. Why my sojourn? A couple of years ago some friends shared that their son was suffering from a neuroendocrine tumor. These tumors can occur anywhere in the body where endocrine cells exist, including the pancreas, intestines, lungs, and brain. In the case of my friends’ son, it was his brain. The initial news was devastating to all as you can imagine. However, the great blessing is that he eventually got through it. At the time, I wanted to be supportive and do a fundraiser to benefit the groundbreaking research that was, and still is, being done at UCLA Neurosurgery, though I was not able to do it until now. I have raised some money and would like to raise more. I plan to keep my fundraising page active. Whether you can donate $10 or $100, it all counts. All funds are distributed through the Network for Good and the UCLA Foundation. 1) The spirit of the Camino is one of friendliness and generosity beyond measure. Every day, I was impressed by the kindness of people along the way. You always felt you had company and support, should you want or need it. This feeling was incredibly comforting and one I wish I always felt. 2) The pleasure and art of slowing down. I loved that people tended to walk slower, speak leisurely, and listen attentively. 3) Less is more. For most of my life, I have been a minimalist. Doing this walk gave me an even greater appreciation for having less ‘stuff.’ Having less stuff to carry, having less stuff to worry about, having less stuff to take care of. Having less stuff means having less of what you do not need, so you have more room for what you truly want. 4) Feeling my heart. Much of the time walking, I spent it noticing my breath coming in through my nose and settling into my heart, and back out the same way. Its beats were rhythmic and sounded musical in my ears, so soothing. 5) A time to be mindful. Every afternoon, we would spend an intentional twenty minutes (or more) in silence. This was focused time to listen to everything around us. The tac, tac, tac of walking poles. The wind blowing through the tree leaves. People's conversations behind us. This was focused time to watch everything about us. The red and white color design of the flowers. The light dappling the pathway. The body language of people enjoying one another’s company. This was focused time to notice our breath, moving in and out of our hearts, filling it as full as could be. 6) Surrendering and trusting. All along the way we followed yellow arrows and shells found etched in stone markers, painted on the sides of buildings, and embedded in the path beneath our feet. As long as we followed these Camino symbols, we were never lost. I found this to be a wonderful lesson for life. When you surrender, when you trust your path, ‘the right way’ will reveal itself. 7) The resources you need already reside within. Walking the Camino, almost every age, size, and shape was represented. If you want to make this pilgrimage, you will find the resources within you to do so. I saw countless people that I would have never thought could walk a 100 yards, let alone a 100kms. Those who were in less than optimum shape somehow found the internal means to put one foot in front of the other from start to finish. It was inspiring. 8) Exponential appreciation. I appreciated how much I appreciated every moment and every day of my journey. 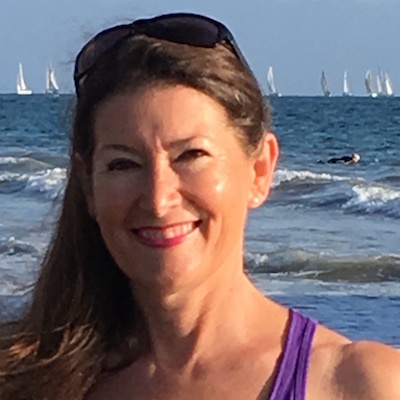 For me the Camino walk, what I experienced, the insight I gained, the things I shared are all how I think life should be lived; being kind, being mindful, being grateful, and knowing and trusting your path. “We must never stop dreaming. This is so much fun!! Great food. Great dancing. This event is the largest and most iconic Greek food and wine festival in Los Angeles.